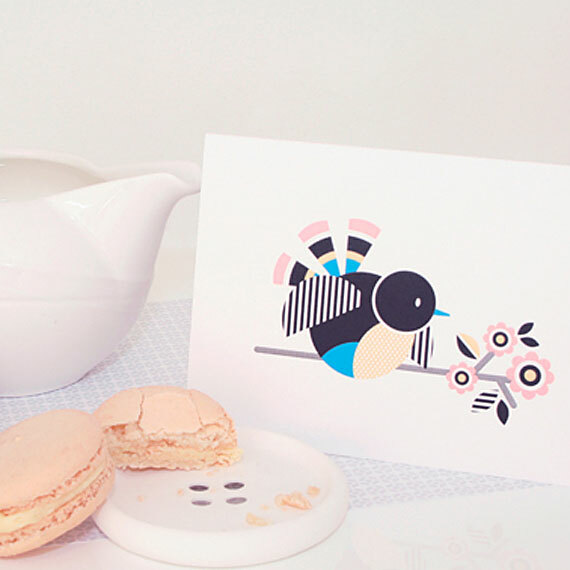 A collection of Ella Leach's wonderful Scandinavian-inspired illustrations! 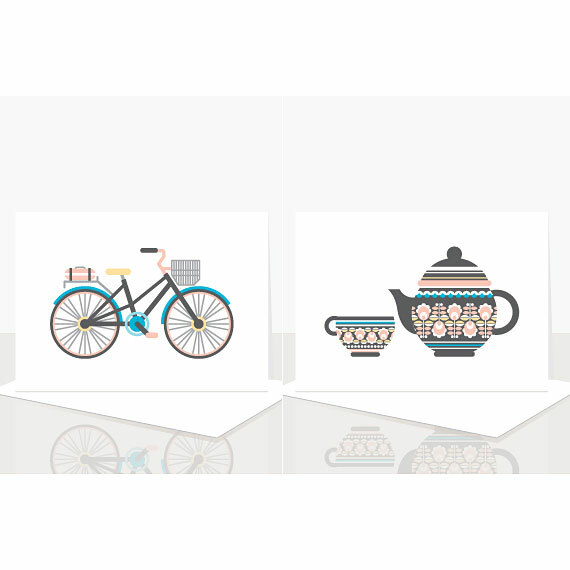 This box set of 6 assorted designs features a bicycle, bird house, bird in a tree, flower, spring bird and teapot, all in matching colour tones and Ella's signature delicate, geometric patterns. 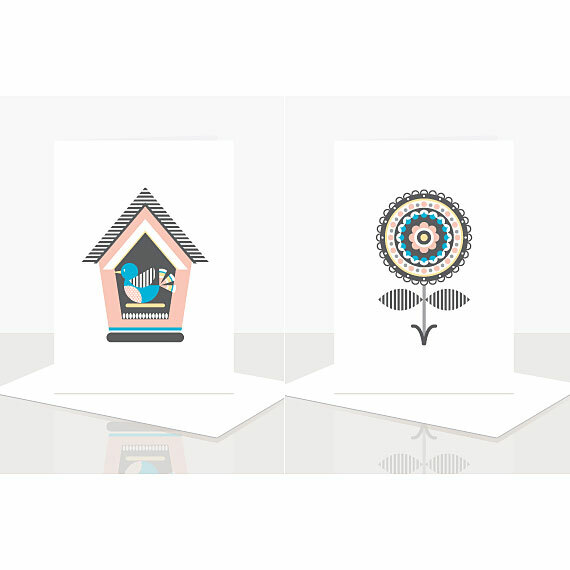 A fantastic, affordable option to have a different card on hand for each of your friends' birthdays or perfect to use as invitations or thank you cards. 6 designs - 1 of each design included. 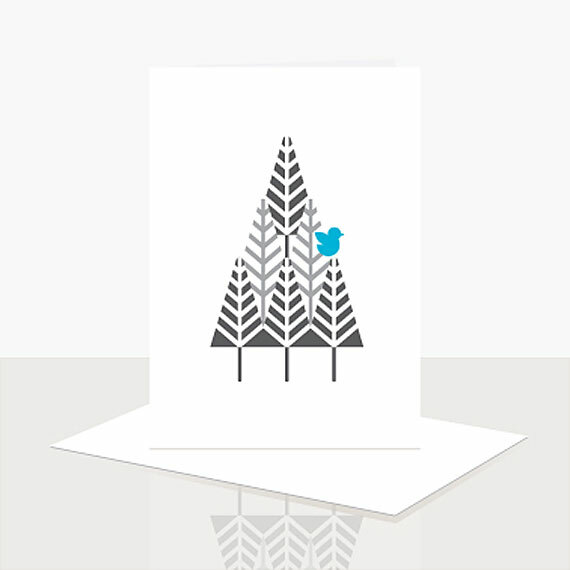 Cards come packaged in a clear resealable protective bag with 6 matching white envelopes. Printed on crisp white, heavyweight card stock with a matt finish.